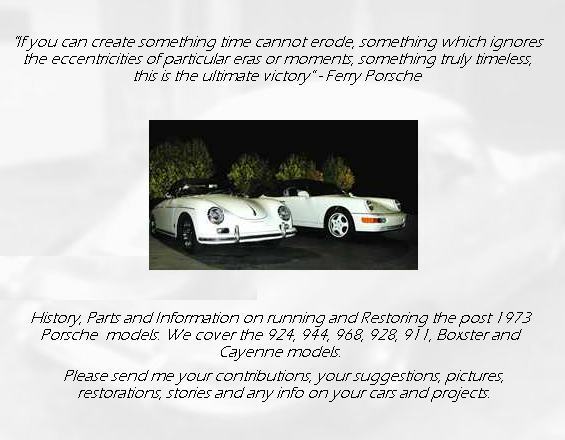 356-911.com is not associated with Dr. Ing.h.c.F.Porsche AG, or Porsche Cars UK. Any word, phrase or graphic that in any way resembles anything to do with the Porsche name or organisation are registered trademarks of Dr. Ing.h.c.F. Porsche AG.